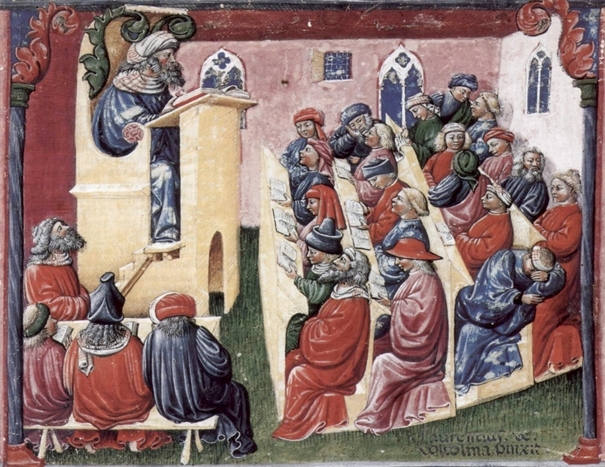 Academic freedom is a core principle of the modern university. It is linked to the liberty of thought as a means of fighting political absolutism and religious intolerance. The present lecture intends to give a restrictive concept of academic freedom, which must not be reduced to free speech. It is a professional freedom which allows academics to do their job correctly. It is a guarantee against many exterior threats, and its substance has a triple dimension: freedom of research, freedom of intramural expression, and freedom of extramural expression. Eventually, we claim the intrinsic relationship between academic freedom and authentic university. Olivier Beaud is Professor of Public Law at the University of Paris 2 (Panthéon-Assas), and a former member of the Institut Universitaire de France (junior and senior) with a research focus on the theory of the state, constitutional law, and the history of legal thought. His books include La puissance de l'Etat (1994), Les derniers jours de Weimar. Carl Schmitt face à l'avènement du nazisme (1997), Le sang contaminé. Essai critique sur la criminalisation de la responsabilité des gouvernants (1999), Théorie de la Fédération (2007), Les libertés universitaires à l'abandon? (2010), (with C. Guérin-Bargues L’état d’urgence), (2016), La République injuriée. Les offenses au chef de l’Etat de 1875 à 2013 (forthcoming, 2019).